State of the art business management software solutions for Today's Enterprise. 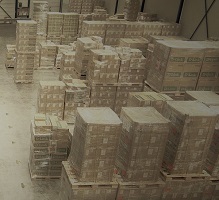 ERP, EDI, Online Commerce and more. Connect The Dots. Connect Sage 100 to applications, web sites and more with TEKOA's unique REST API for Sage 100. Update Sage 100 with current technology Add-On Solutions from the leader in Sage 100 Integration technology. It's About Business Agility. In today's competitive global marketplace, making your business agile enough to take on new opportunities and grow is often linked to the technology infrastructure that supports your enterprise and business workflows. For example, growing sales may involve creating EDI relationships with your major Customers and Suppliers. However, to move in the directions your business needs, requires state of the art technology that leverages the best in class software and process resources. Connect The Dots with TEKOA. Integrated online payment processing connected to your ERP software. Give Customers ability to order and pay to accounts online through a secure and compliant online payment solution from TEKOA. Grow your business with effective solutions that solve business workflow and productivity problems. 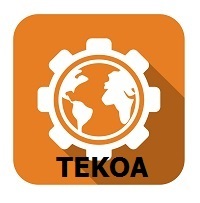 Increase the efficiency of your Inventory, Manufacturing and Accounting processes with custom software solutions by TEKOA. Designed for wholesale or large-scale Customers that often know the product they want to purchase, give them the ability to create Profile’s and order new product using a streamlined Sales Order Entry web portal interface. Compatible with special pricing configurations, Customers see prices you have specifically configured for them.